Talent assessments have been around for some time now and companies are starting to utilize these tools more frequently. Perhaps you are thinking about implementing a talent assessment into your hiring process, or maybe you wish to better utilize a current assessment that is already integrated within your hiring process. Either way, it is important for you to understand that talent assessments are extremely valuable tools when it comes to determining cultural fit. How does a talent assessment work? You will find that most talent assessments will provide you with a profile of a candidate based on historical data that has been accrued from many other people who have been assessed over time. This data can be very helpful in allowing you to determine, along with your interview assessments of the candidate, what type of work habits and tendencies the candidate has, as well as the type of job and work culture the candidate is a better fit for. I recommend that you have only candidates in the final round of interviews complete a talent assessment. This saves you a lot of money and time, in that you are only having candidates complete the assessments that you have thoroughly interviewed and are serious about. When you are ready for a candidate to complete the talent assessment, you will simply provide him a website or form to complete. Typically, the candidate will read questions and select multiple choice answers. Once the candidate has completed the assessment, he will submit it to the talent assessment company which will in turn assess the candidate’s answers and produce a profile. Normally, you receive the results within a day or so. 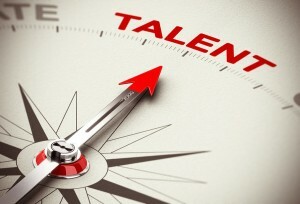 What will a talent assessment tell me about a candidate? Typically, you will learn if the candidate performs well in high stress or fast paced environments or performs best in low stress and more steadily paced environments. You also may learn if the candidate requires a lot of attention and instruction, or if he is a go-getter who requires very little hands-on attention. Talent assessments will also tell you if the candidate’s profile is better suited for a sales, customer service, or administrative type of role. Overall, a talent assessment can help to answer any unanswered questions that you may have regarding the candidate’s work habits, tendencies, and cultural fit. How should a talent assessment factor into my hiring decision? As always, candidate profiles from talent assessments should not be hiring decision makers on their own. Normally, when you hire a company to conduct your talent assessments, a specialist from the company will take time to review and explain the results with you. During this time, you will typically receive guidance from the specialist such as further questions to ask the candidate or their references in order to confirm or clear up any suspicions. Having a specialist spend time with you, explaining the results, is a valuable tool in itself. Talent assessments can be quite confusing with many graphs and charts. If the company you are working with offers their services in walking you through the results, I highly recommend you take them up on this. In the past, on these valuable phone calls, I would even ask the specialist how the candidate compared to the results of others I had hired in the past. This was helpful in comparing past or current employees’cultural fit and how the reviewed profile would typically fit into our culture. 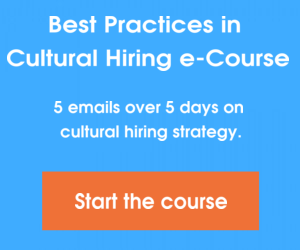 Have you found talent assessments helpful in cultural hiring? Please share your thoughts in the comments below.